JMC make Cylindrical Roller Bearings are similar to the flexible type with the exception that the roller are solid. 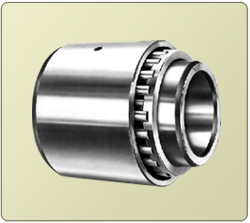 The complete bearing comprises of Roller assembly with inner and outer races. The rollers have trunnions turned on each end and these engage in holes in the two end plates of the cage. Stay bars hold the end plates in position in the same manner as for flexible roller bearings : but in this case the bars are between the rollers and not through them as in the case of flexible Bearing Cage. 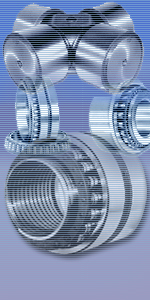 Cylindrical Roller Bearings are used where temperature in the surrounding area is less than 80ºC. 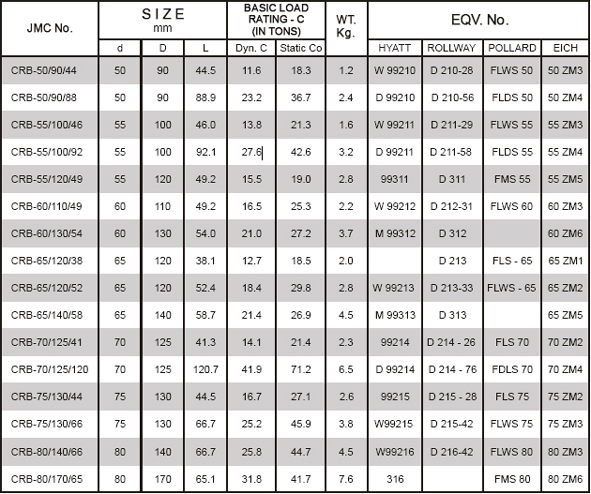 These bearings though can not take heavy shock load, can withstand heavy constant radial load.